John John Florence (HAW) clinched the 2017 World Surf League (WSL) Title today at the Billabong Pipe Masters, making him the first male surfer since the late Andy Irons (HAW) to successfully defend a maiden world title (Irons was ’02, ’03). Mark Richards (AUS), Tom Carroll (AUS) and Tom Curren (USA) are the only other male surfers to have achieved this feat. 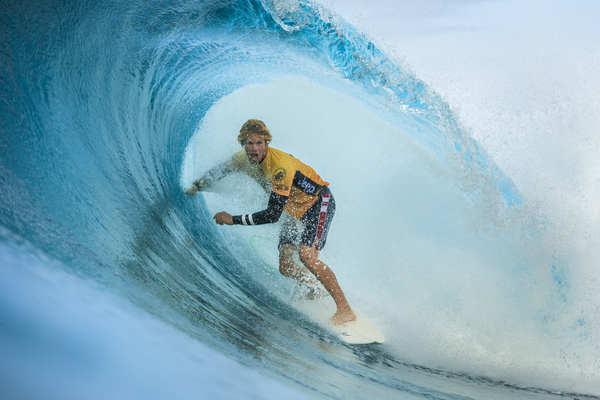 Caption: Newly crowned World Champion John John Florence (HAW) claims a runner-up finish at the Billabong Pipe Masters. Challengers Smith, Owen Wright (AUS), Matt Wilkinson (AUS), Filipe Toledo (BRA) and Adriano de Souza (BRA) all suffered early eliminations in Portugal, falling out of reach of the title. Going into the Billabong Pipe Masters, only four surfers remained in contention to clinch the title, but contenders Gabriel Medina (BRA), Julian Wilson (AUS), and Smith weren’t able to deliver the results needed to block Florence at his home break in Hawaii. Florence’s victory was sealed after Medina was eliminated today in the Quarterfinals at the hands of eventual event winner Jeremy Flores (FRA). Universally-regarded as one of the best all-around surfers, Florence has diligently worked at improving since qualifying for the elite WSL Championship Tour (CT) in 2011. A seven-year competitor on the CT, the surfer form Hawaii claimed his maiden title in 2016 with an early-season clinch in Portugal, having previously finished in the Top 5 twice before (4th in 2012 and 3rd in 2014). 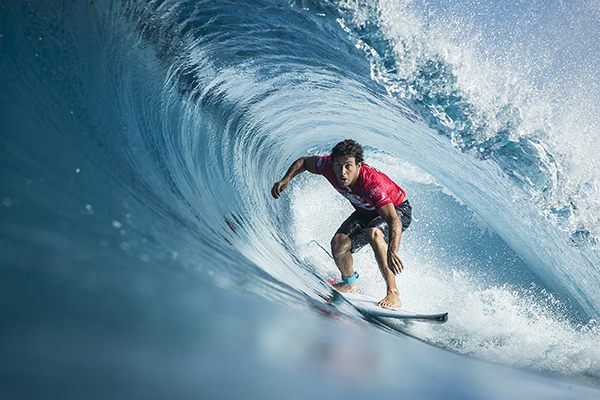 With this second title, the surfing world is eyeing the beginning of a new dynasty in high-performance surfing. Caption: Jeremy Flores (FRA) claims his second Billabong Pipe Masters after stealing the win from the newly-crown WSL Champion John John Florence (HAW). 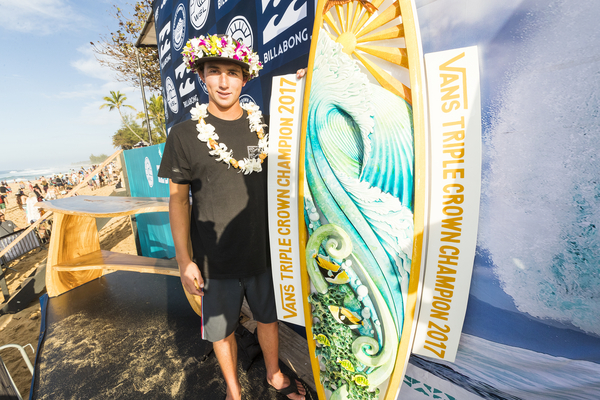 Caption: Griffin Colapinto (USA) becomes the first Californian to win the coveted Vans Triple Crown of Surfing and the result also sees him secure his place amongst the world’s best surfers on the Championship Tour in 2018.